Why you should let go of your preferences to become a more mature writer. Examine your writing like an Editor-in-Chief to keep your audience engaged and to continue growing as a writer. 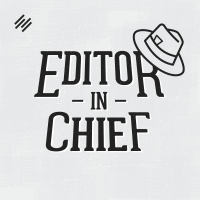 Stefanie Flaxman: Hello, Editor-in-Chiefs. I’m Stefanie Flaxman, and you are listening to Editor-in-Chief, the weekly audio broadcast that delivers the art of writing, updated for the digital age, to help you become a stronger media producer. Today’s show is going to talk about words — we love words, that’s why we are here, right? — and favorite words and our preferences and the habits that we get into with our writing. Are they good? Are they bad? Who do they serve? Do they serve us, or do they serve our audience? Do they serve both? That would be ideal. That doesn’t always happen, so how do we get there? Let’s talk about words for a second. Actually, we’re going to be talking about words during the whole episode. This is going to be more than a second, folks. I’m going to get into some stuff. I was thinking about words that I use a lot in my writing because we all have our own writing styles. I like brevity. I like short pieces of text. That’s how I write. Sometimes I write longer pieces. I certainly can talk enough. We all know that. I will go on and on about things sometimes if it’s needed. Then the editor part of me comes in, and I usually chop it up and end up with something pretty brief. That’s just my style. That’s what works for me. There are words that I use a lot in my writing that I’ve been noticing. You might have similar words that you use. Again, because it’s part of your style, it’s how you communicate. It is the tone that you want to take when you are talking to your readers. Three of the words that I was thinking about that I use a lot and I tend to insert with whatever I’m writing: I use the word ‘engaging’ a lot. I use the word ‘terribly’ as an adjective a lot. It’s one of my favorite words to emphasize thing with. I’ll say, “You know, I wasn’t terribly appropriate,” or, “I’m not terribly inclined to prefer that.” I don’t even know if I use it correctly, but I love using it. I also use ‘a bit’ a lot. Like, “It could be ‘a bit’ more,” or “well I tweaked it ‘a bit.’” I use that a lot. I may have even said that as I was talking earlier. I’m not sure. I recognize these words that I use a lot. We get into the habit of having these preferences and, again, communicating our voices. When you’re being repetitive with the words that you use, does your audience want to hear that? You want to find the balance of having a recognizable style, but you can’t be boring. There’s no time to be boring. People will just click off into other content. You also want to push yourself as a writer a little bit more to maybe explore other ways that you can communicate with yourself. When you push past your comfort zone of defaulting into using the same words, that is where you really grow as a writer. 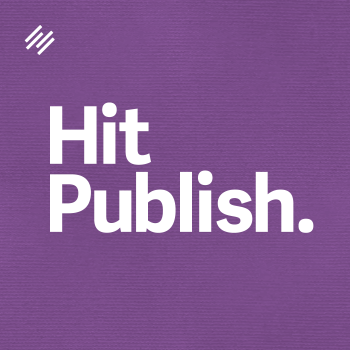 It depends where you are in our content production evolution, which phase you’re in. At some point, you need to start evaluating your choices in a different way than you have in the past. I think it’s always a good idea to evaluate your choices. That’s what Editor-in-Chief is about. I want to create this big awareness where we’re always in a position to evaluate our choices and do things differently if they’re not working for us. A lot of times, things aren’t necessarily bad, but they may not be working. They may not be getting the best results, and you can always do something different. You are never stuck in one way of doing things. You get out of your own way and start experimenting. I love experimenting, and everything I do, I say, is an experiment pretty much. I don’t know what’s going to happen. This is TMI — we’re going there, we’re going there today guys — but I thought my toilet was acting a little bit funny earlier. This really happened earlier today. I was like, “Is it making a weird noise?” I don’t know what happened there. Getting back to our word choices, at some point, you may want to look at your writing and notice these things that you’re doing over and over again. Experiment with, maybe, a different voice. I think that letting go of your preferences and the habits that you are into really helps you become the writer you’re supposed to be. You really start seeing this maturity in your writing when you start letting go of what is comfortable or what is obvious for you. Those are some words I use a lot, but I haven’t revealed my favorite word yet and I have a favorite word. I’m going to get to that in a minute. I have to remind you guys, and I’m happy to remind you guys, that Editor-in-Chief is brought to you by the Rainmaker Platform, the complete website solution for content markets and online entrepreneurs. Find out more and take a free 14-day test drive at Rainmaker.FM/Platform. My favorite word of all the words –you can think about yours, too. I’d love to hear them in the comment section of the blog post that accompanies this episode of Editor-in-Chief. 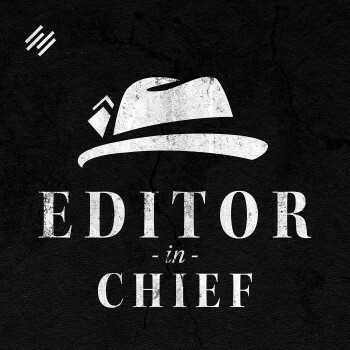 You can find all of my episodes at EditorinChief.FM. That’s where you’ll find this blog post that goes along with this episode. You can drop in your favorite words and explain why. I love the ‘why.’ I love there being a reason for why we have these preferences, even though I just said we should probably let go of our preferences to become who we are supposed to become without being agitated with things not going our way. Getting back to my favorite word, my favorite word is ‘no.’ It is two letters, and it is very powerful. It has a lot of life, or it has a lot of death, depending on how you look at the word. It’s only two letters, and it says so much. It tells such a story. I’ve been Tweeting lately. I love Tweeting one word at a time. It used to be this long, ongoing story. Now I’m just Tweeting one word that to me is a story. I love just giving the reader’s imagination something to go with, and they can create a story out of just this one word that I write with a period at the end of it. I have my own story, but whenever I talk about philosophy of art, I always go back to the idea that the artist’s intentions are only one part of a piece of artwork. For me, what really makes something art is when you release it into the world, and then other people can interpret it based on their worldviews. I love my one-word stories. They’re fun for me. I don’t know if anyone else likes them, but they’re fun for me. Somewhere, that ‘no’ has inspired a ‘yes’ or will inspire a ‘yes.’ We kind of have to get out of our own heads and think about the bigger picture or what this ‘no’ could mean for us and our work. If we hear it in our work, such as a rejection, that could be one way that ‘no’ comes up. You may not have the right answer when you say ‘no’ to something. There may not be a better solution immediately there. That ‘no’ will allow for much happier ‘yes’s down the line. ‘No’ means you’re taking a stand for something. ‘No’ is only negative if you’re not creative. Because creative people hear ‘no,’ and they know — a little wordplay there, ‘know’ with a ‘K’ — that something else is waiting for them somewhere else. You just need to look at things a little bit differently and explore why that ‘no’ happened. Don’t get mad about the ‘no’ happening. Explore why it happened. Learn to be at peace with it. Then, move forward. We don’t have any other choice, really. We’re moving forward whether we like it or not. We’re evolving as people and creators and writers whether we like it or not. We can go with it, and really appreciate those ‘no’s that come our way, or we can fight them. Fighting the ‘no’s is going against the grain. Now I’m thinking of ’nose,’ like your nose on your face, the body part ‘nose.’ I’m having fun with the words I’m saying. Guys, I hope you’re having fun with me, too. That is today’s show. I hope you’re thinking about your favorite words and why they mean something to you. Hopefully I’ve given you an idea of why ‘no’ means a lot to me. We can talk about this more in the comments if you want to talk about ‘no’ more. Please feel free, again, to go to Editor-in-Chief.FM and find this episode and leave a comment about your favorite words and what you’re thinking about today’s episode. If you wanted to go to iTunes as well and leave a rating or a review there for Editor-in-Chief, that would be super cool too. Thank you for listening. I’m Stefanie Flaxman. This is Editor-in-Chief. Great episode Stephanie. It sounds like you’re really getting into your groove with each episode you do. TMI is great! I like your reasoning behind your choice of the word no. Two letters. So much going on. And I agree. I think my favourite word, certainly a word I use a lot in my copywriting, is imagine. It has the power to transport someone and make them the hero of your story, even if it’s just for a few moments. I like that. I also use awesome a lot in conversation. Possibly too much! I do love our language though and appreciate the chance to listen and ponder while strolling through my hood. P.S. Great to meet you at Authority 2015. You’ve brought sun salutations back into my day and I grateful for that! Wonderful to hear you’ve gotten into a daily sun salutations routine — I really enjoyed our conversation about that. And thanks for sharing your favorite words here! I like “imagine” a lot, too. Also very powerful — especially when you’re using words to hook a reader so he ultimately absorbs the message you want to communicate.